Learn a little bit about this popular brand before reading my Hourglass waist trainer review below. A competitive new brand, Hourglass Fashion, is rising to the top of the shapewear industry rapidly. 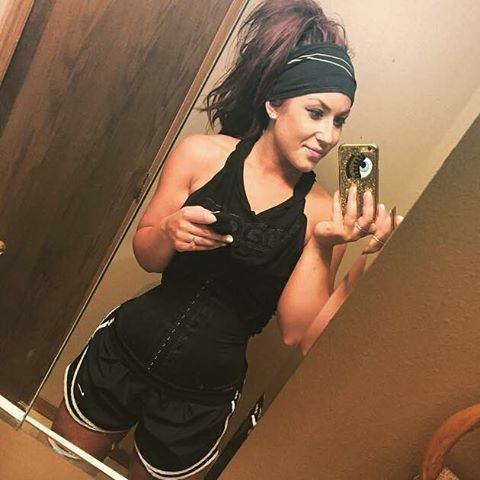 There is not much known about the company and wear it stems from, but it sells one of the most popular waist trainers on the Amazon Market. With hundreds of reviews on the seller site, it has managed to get mostly positive feedback. From what I have researched, most customers are pleased with the overall fit of the product and it’s ability to work on all different kinds of body shapes. 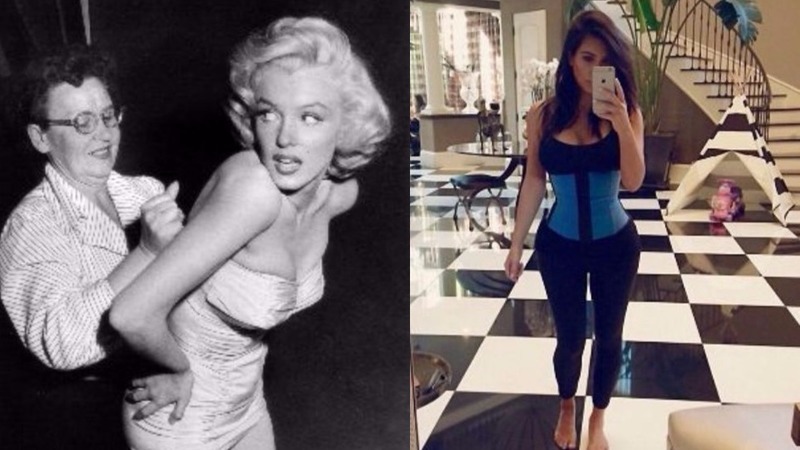 From petite to more robust women, it has an above -average score which sets it apart from other waist trainer brands. 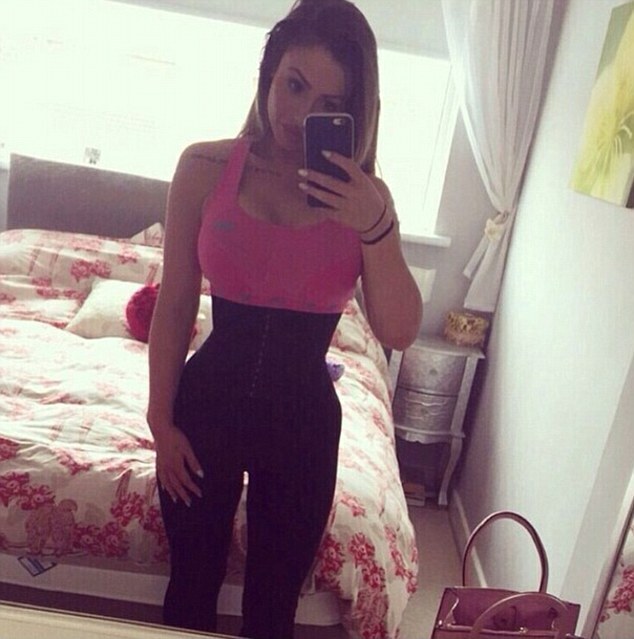 Read my personal review below about the Hourglass waist trainer (“cincher”). In my experience, this one competes with my Ann Chery waist trainer. It is truly difficult for me to decide which one I like the best! They are both made out of quality material and shape your body perfectly. Also, the price is about the same on average as well. Keep in mind, Hourglass offers something that Ann Chery doesn’t – A FULL REFUND! This is according to their “love it or leave it” return policy. So, if you are worried about getting the wrong size or buying a product you hate, it’s nice to know you can get your money back. I have worn this “tamer” for going out a few times and it made my body look great in tight dresses. It’s true what they say, it dramatically gives you a thinner waistline. Although I mostly wear it for my workout sessions, but it is nice to know I have the other option, too! Doesn’t seem to lose shape over time. Flexible but strong material allows comfort to work out in. I can run on the treadmill for miles and it doesn’t move out of place. Flattens belly and waistline dramatically. I can use it for working out AND going out (if I want). Looks amazing under tight clothes. Helps aid my bad posture immensely and relieves tension from my spine. It has quality hooks that don’t break easily. Keeps my love handles (back fat) in hourglass form. I always order my trainers 3-4 inches smaller to help reach my weight loss goals. Some people even order their’s 4-7 inches smaller. Ask yourself how many inches you want to lose and then subtract that from your current measurements. 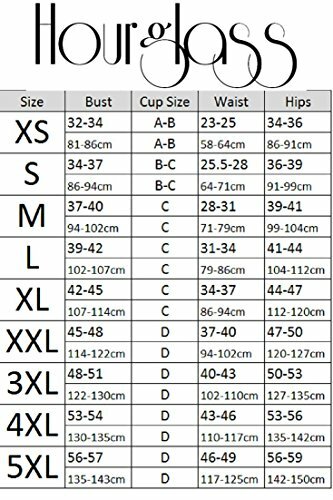 Below is the Hourglass measurement chart to help you decide. It’s tough to make a decision with one review, read these others from Hourglass users to help you make a more informed choice.